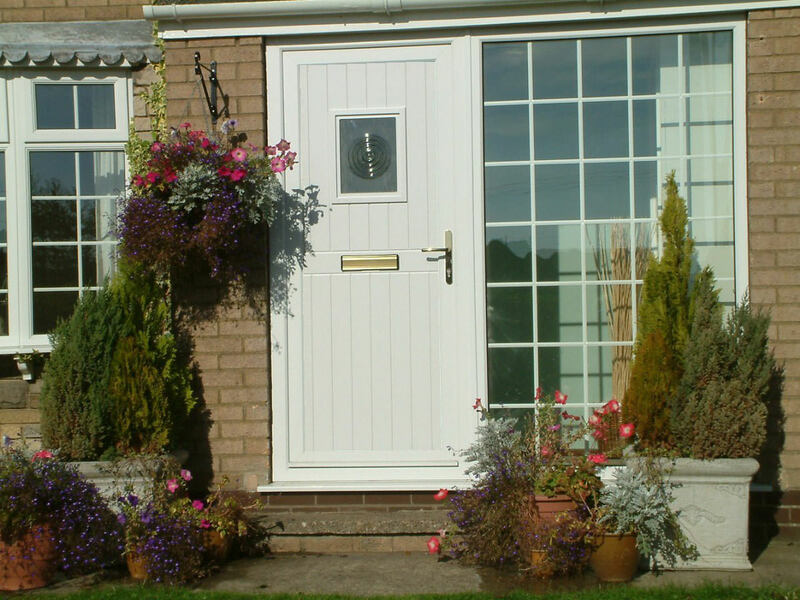 Create a welcoming and unique entrance to your property with our beautiful uPVC residential doors. Omega install stunning uPVC doors which will provide your home with additional security, efficiency and style. We offer a gorgeous range of bespoke uPVC doors to homeowners throughout Kent. Our stunning double glazed doors can be tailored with an exclusive range of colours and finishes, as well as glazing options, combining to create the absolute perfect match for your property. Whatever you require, be it traditional or modern, we are sure to have a style to suit your home. Our main aim is to ensure that you receive the utmost in quality with every door we install. Industry leading Deceuninck residential doors are known to combine luxury, beauty and advanced uPVC engineering, ensuring that they provide superior security, durability and efficiency. When choosing a new residential door, you want something that you can enjoy and appreciate every time you come home. Our doors are tailored to meet your needs, giving you the finished door that you will be pleased to see welcoming you in to your home. We offer two high quality sculptured and chamfered profiles from Deceuninck. No matter which style you choose, you can be sure of having super slim sight lines and stylish looks, adding curb appeal to your property. Our outstanding uPVC doors are designed and manufactured in accordance with the very latest Building Regulations. Each of our uPVC residential doors come with steel reinforcing and high security locks to protect your home and family. Your security is important to us, so we fit our uPVC residential doors by Deceuninck with a high security 8 point locking system. This advanced locking system is approved by the Association of British Insurers, with multi-point hook bolts, roller cams and a secure deadbolt. For exceptional security, you can choose to have optional anti-snap, anti-drill and anti-bump door barrels fitted to your uPVC door. These superior security features create an additional barrier against intruders, ensuring that you are protected to the highest possible standards. Whether you are looking for bold and bright or traditional and muted, we are sure to have the right colour for your double glazed door. Our complete range of uPVC residential doors are available in over 250 colours with a satin finish. These colours are of such high quality, we offer a complete 10 year guarantee against discolouring and fading. Our aim is to offer a superior service and greater quality to homeowners throughout Kent, while still keeping our double glazed door prices completely competitive. We offer free, no obligation quotes so that you can make an informed choice. Try our online quote calculator, simply enter your specifications and our intelligent calculator will provide you with a unique quote. If you would like to discuss your options in more detail, then please contact us. We have a friendly and professional team waiting to take your call and guide you through the choices available.